The millennial generation continues to garner attention – especially when it comes to travel. A Hotwire.com survey of more than 2,000 U.S. adults found that millennial travelers, ages 18 to 34 years, have a greater desire to travel in 2015 than their older counterparts. They’re more excited about taking trips of shorter durations and seeking authentic experiences, and are even spending more money. Below are a few recommendations for a Carolina Beach, N.C. vacation that’s perfect for the millennial traveler, whether a couple traveling without children or with groups of friends. 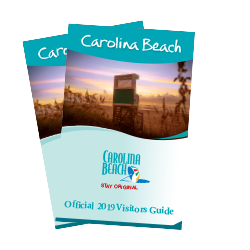 Anyone with a youthful spirit will find that Carolina Beach provides a quick, fun-filled and authentic coastal getaway. 1. Coastal Cuisine. For millennials, delicious cuisine is often a top priority – especially when it’s served at trendy, non-chain restaurants with a fun atmosphere. While visiting Carolina Beach, look no further than the standout restaurant, Surf House. It offers a laidback, surf-inspired theme along with gourmet coastal fare. Known for its philosophy of serving seasonal sustainable food, the restaurant sources ingredients from local farmers and fisherman. And in true farm-to-table fashion, it prides itself on knowing the origin of each and every ingredient. 2. Craft Beer. In the mood to try out a delicious selection of craft beers? 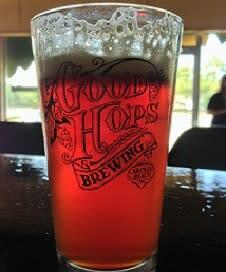 Head over to Carolina Beach’s Good Hops Brewery. Stop in for a free tour and tasting at the ale-focused brewery with more than two dozen varieties of beers for distribution to local bars, restaurants and hotels. Good Hops Brewery is also one of the stops on the Port City Brew Bus – a bus tour that travels to breweries in the Wilmington area educating riders about the craft beer scene. 3. Charitable Causes. A USA Today article referenced millennials as “the giving generation” because they’re significantly more likely to devote their time, money and skills to causes and organizations compared to older generations. For visitors looking to combine travel and doing good, try participating in one of the charity sports events that take place, year-round. 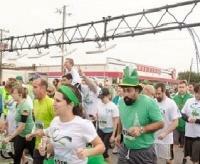 Get your sweat on and help an organization that’s helping local charities. 4. Adventures by the Water. Millennials crave the exhilaration of adventures and new discoveries. While at the beach, why not explore the water? Temperatures at Carolina Beach remain relatively mild well into the fall, which means it’s the perfect time for outdoor activities like fishing, kayaking or standup paddle-boarding (take a tour of Carolina Beach State Park with Paddle NC) or surfing (sign up for a lesson with Tony Silvagni Surf School). 5. Nightlife. Millennials love being social, and what better way than meeting new people and grooving to live music at Carolina Beach? Places like Seawitch Café & Tiki Bar regularly host live bands on its outdoor patio. And if a walk-in beer cooler, arcade games and a bar made out of a boat sound intriguing, then head over to The Fat Pelican, also voted #1 Dive Bar in NC. We’re sure your friends will get kick out of your selfie with the surfing cow on the roof.